Have You Missed Payments On Your Mortgage Or Other Debts? First Choice Finance Have Mortgage Lenders Who May Be Able To Help People With Poor Credit & Defaults - Get No Obligation Free Quotes & Qualified Mortgage Advice. 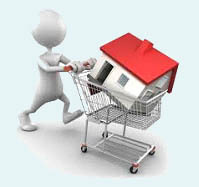 Mortgages To Purchase Or Remortgage With Defaults. Multiple Default & Low Credit Score Mortgage Lenders. Over 30 Years Experience & Over £1 Billion Obtained Already. 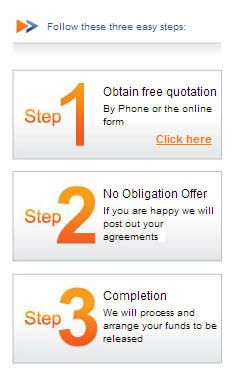 Confidential Default Help & No Obligation Free Quotations. Competitive Rates & Mortgage Lender Plans Not On The High Street - Accept Defaults, CCJ`s & Adverse Credit - Confidential, No Obligation Enquiry. You may be wondering which mortgage plans are available to get a home purchase mortgage or take out a remortgage with defaults? Fortunately we have a wide selection of mortgage lender products available for clients who currently have (or previously had) defaults on their credit file. Many of the default mortgage plan rates are competitive and we will provide you with all the facts and figures on your available mortgages via a free quotation, before you decide to go ahead. Even if you have been let down elsewhere or offered too small a mortgage amount - now may well be the time to consider looking into that mortgage or remortgage you have been thinking about, despite having defaults. Some of our default mortgage plans range up to 95% loan to value, so call without obligation on 0800 298 3000 (freephone) / 0333 003 1505 (mobile friendly), or complete our short on line no credit check enquiry form for a confidential, no obligation conversation with our experienced & friendly UK mortgage team. First Choice have been around for over 25 years and have already successfully sorted a huge quantity of mortgages for clients across the UK, who have a very wide selection of credit backgrounds. Mortgages with defaults are made available through our experienced, UK owned mortgage team and our lender plans - many of which lend to clients with defaults and / or other adverse credit. Which Defaults May Be Accepted By Mortgage Lenders? Age is critical, except for defaults under £500, which many of our lenders plans ignore. At the moment there are a few lenders who will take you on with defaults within the last few months. The date that the default was added to your credit file is something that all lenders will look at when assessing whether they are happy to provide you with a mortgage. If you have defaults in the past but have not had any in the previous 2 years the rates and lender choices will be much wider as this evidences that whilst you may have had problems with your credit, your recent history would indicate that you are capable of paying your commitments. This encourages a lender to consider your application because it demonstrates that you are likely to keep to your payments in the future. The older the defaults are in your history the more likely you are to be accepted. Value & Satisfied - How much did you default for and have you satisfied your default(s)? The amount that you were unable to pay has an impact too. You do not always have to make payments to a default but it is still a debt that you owe and therefore can affect your affordability. The lender will take this into account when deciding whether to give you a mortgage. If you have satisfied your default this can really work in your favour because you no longer owe the debt and it indicates to a lender that you understand that a credit commitment should be paid back. Type- What did you default on? No default is a positive thing but some carry more negative weight than others. Defaulting on a mobile phone bill wouldn`t be seen as severe as say defaulting on a secured credit commitment. There are adverse credit lenders who will ignore certain types of default altogether because they feel they might not be an accurate indicator of an applicant`s payment history. Amount- How many defaults do you have? Having a number of defaults on your credit file might lead a lender to believe that a new credit commitment might not be the best course of action for you because you are already struggling to maintain the credit that you have. Alternatively if you have had a low amount it might indicate that you were going through a difficult period financially but in general normally meet your loan or credit payments and as such you are not as great a risk. It is important to stress that you should always maintain your credit commitments where possible and avoid getting a default if you are able to but having a default doesn`t automatically prevent you from getting a mortgage and to ensure that you do not miss out, speaking to an understanding adviser will give you an idea of how your adverse credit will be viewed. 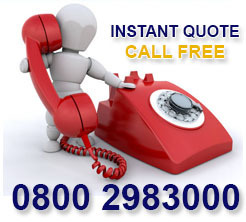 Call for free to suit you on 0800 298 3000. How Long After A Default Can I Get A Mortgage? If you have defaulted on any of your existing credit you may have found it more difficult arranging a mortgage or remortgage because of the subsequent impact on your credit rating. However if you have a significant deposit of circa 15% you may well be able to get a mortgage with recent quite large defaults. At First Choice Finance we have mortgage plans from lenders who will consider relatively new defaults even if you have defaulted this year, with some of our lenders giving them little significance after 2, 4 or 5 years. After 6 years you will usually find that the defaults will be removed from your credit file and therefore ignored by our lenders. The size of your default will also impact on the importance, with £500 defaults or less not being considered an important factor by a good range of our mortgage lenders. We also have second mortgage options available can be more forgiving when considering defaults and may be relevant to the table above. If you have suffered defaults please consider getting in touch as we have helped many people - who had been refused because of defaults - to still buy a home or remortgage. 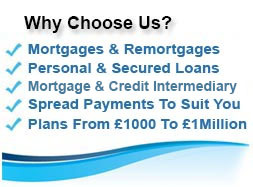 Our UK team will work with you giving full support through the mortgage process. The default mortgage lender market can be complex and difficult to navigate, which is why you can choose to speak to our qualified advisers, who know about our default mortgage lenders criteria. Our team has seen most scenarios and can even provide you with possible alternative solutions to borrow the funds if a mortgage with defaults isn`t available. Unfortunately not everybody with defaults can get a new purchase mortgage, move home or remortgage their existing property, but we believe through ourselves you stand a better chance. There are fortunately a number of mortgage lenders competing for your business which keeps rates competitive - and all being well one will have the right option for you. Criteria varies by each of the lenders and a mortgage which isn`t a suitable option for an applicants` individual needs and circumstances would not be proposed - however if you cannot get a mortgage from our panel we will always try and explain why to the best of our knowledge, so that you might address the areas and look forward to still getting your mortgage at a later date. Even if you just want to explore the likely options available to you, a no obligation talk with one of our default mortgage specialists could provide some clarity for your situation and may even result in giving you ideas of what you could do to help your scenario and when a mortgage will be more likely to go ahead for you. If you are available now, give the office a call on 0800 298 3000 to take the next step in getting your finances to where you want them to go. Alternatively fill in the short on line enquiry form and we will call you. Are There Any Mortgage Lenders Who Accept Defaults? If you have been to a high street bank and been refused because you have a defaults on your credit file, you may be wondering if there is a lender who can help. Here at First Choice Finance we have access to lenders not available on the highstreet with mortgage plans designed to cater for those of us who may have had difficulty on the past. 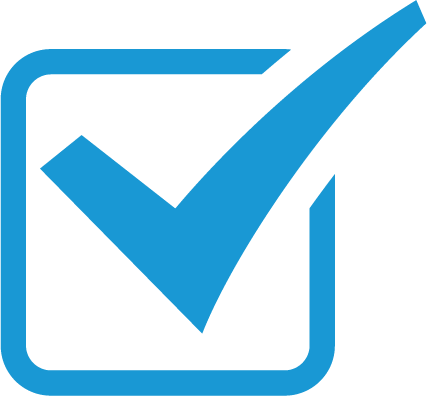 When you enquire to First Choice Finance you will get help and advice from a qualified mortgage adviser with a vast amount of knowledge and experience helping people arrange mortgages and remortgages in a number of different circumstances and situations. It is important to always maintain your credit commitments but the mortgage industry understands that just like in any aspect of life it is hard to keep your credit file absolutely perfect and events or scenarios might crop up that could lead to adverse credit. A consequence of missing numerous payments on a credit commitment is often a defaulted account and this will be recorded on your credit file for up to 6 years. If you have existing defaults you are likely going to be restricted on the mortgage lenders and products that can be offered when looking for a mortgage. Fortunately you can get a mortgage with defaults to purchase a property or remortgage your existing property provided you fit with certain criteria. If you are looking to purchase a property, even if you are a first time buyer you could purchase a property with as little as 5% deposit provided your defaults are over 3 years old and you fit will all other criteria. The bigger deposit you save will work in your favour for a purchase mortgage with defaults, 15% for example would increase the lenders willing to consider an application for you and consequently it is likely to improve the interest rate charged by the mortgage lender. Remortgages are possible too and could even help you to build your credit score so that you can access the best lenders in the market in the future. Your loan to value might be restricted depending on the purpose of the remortgage but it is possible to borrow up to 85% LTV for debt consolidation purposes with a mortgage for people with defaults. If you have found yourself defaulting on accounts in the past because you are struggling to maintain expensive commitments for example, a debt consolidation remortgage could possibly save you money on a monthly basis and give you one manageable and affordable monthly payment to reduce the risk of you defaulting again in the future. Securing previously unsecured debts against your property is something that you need to consider carefully as your home may be at risk if you do not maintain the payments and it could cost you more in the long run. Taking on any new mortgage is going to be a significant commitment that needs to entered into knowing that it is the best option for you. If you have had credit problems in the past it is crucial that the financial decisions you make going forward are suitable for your needs and circumstances this is why it is a good idea to approach a specialist mortgage broker like ourselves with expert knowledge of the industry who you can be sure will provide you with a mortgage that is right for you. To speak to a qualified adviser contact the office on 0800 298 3000 free from a landline or on 0333 003 1505 included in mobile plan minutes. The mortgage market has undergone many significant changes in recent years in particular relating to the affordability of a mortgage and whether you can secure a mortgage with previous adverse credit. Whilst some people would lead you to believe that these changes have made it almost impossible to secure a mortgage this is not the case and more mortgage lenders are branching out into the niche areas of the market in particular for mortgages with people who have had previous defaults, CCJs or even missed mortgage payments. These lenders are seeing the value of mortgage business for people who may have had adverse credit in the past but are good candidates for a mortgage for other reasons. Cheshire Mortgage Corporation will ignore any defaults that are over 12 months old and will consider applications up to 70% LTV subject to fitting with other criteria. If you are looking for a mortgage with defaults the likelihood is that you will need to approach a lender that specialises in this area. Many of the mortgage lenders in the market that do specialise in mortgages with defaults have realised the value of intermediaries that understand the complexity of these cases and as a consequence will deal exclusively through them. If you have approached a number of high street banks who have refused you an application all is not lost before you give up on your hopes of a bad credit mortgage it is essential to approach a mortgage broker who has access to these lenders. 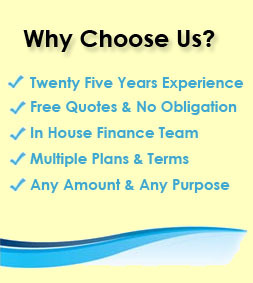 With 25 years experience in the industry First Choice has developed long lasting relationships with a number of lenders which puts our advisers in prime position to find you a mortgage, whether that is with a high street bank or one of the many adverse credit mortgage lenders we have access to. Alternative Options If You Have Defaults. Depending on the reason for wanting a mortgage if you have had defaults or other bad credit like CCJs, there could be other options available to you even if it has been established that you cannot secure a mortgage. A secured loan is similar to a mortgage in that it is also secured against your property however, it is secured on the property as well as a mortgage and doesn`t require that the mortgage be changed. This can be particularly effective for a number of reasons. 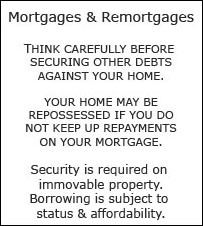 If you are currently on a particularly competitive interest rate with your existing mortgage provider and have defaulted on other credit commitments while you have been paying the mortgage, a remortgage to borrow more money could be costly as you would likely face a much higher interest as a consequence of the adverse credit. Rather than having to pay the whole mortgage and extra borrowing on the higher rate you could look into the option of a secured loan. This would leave your existing mortgage in place and then your previous credit history would only have an impact on the interest rate for the secured loan, so the extra bit you want to borrow. There are also a number of secured loan providers who have developed their criteria with adverse credit in mind and could be willing to provide you with a loan even if you have been declined a mortgage. Our advisers take a holistic view of your financial situation and this includes exploring all of the options that might be available to you and deciding upon the one that is most suitable for your individual needs and circumstances. We have access to a wide range of lenders that cater for a whole host of scenarios for both mortgages and secured loans accommodating people with great credit or those who have had previous credit problems, we can save you time and potentially a lot of unnecessary stress finding the right solution for you. Make First Choice Finance your first call for all of your finance needs whether it is a mortgage with defaults or you are trying to get a better deal. To get in touch call the free phone number on 0800 298 300 or from a mobile on 0333 003 1505 which will be included in mobile plan minutes. Mortgage With 5 Year Old Default. If you have defaults that are 5 years old or over we have some very competitive mortgage deals available. It is worth noting some lenders are not concerned with older defaults and others ignore them when under £500 at all, even if they are not satisfied. Generally, if any default is satisfied this can also help improve your chances of getting an even better interest rate for your mortgage or loan. If you are wondering if your default may cause you a problem, why not contact us and speak to one of our advisers, there will be no initial credit check and we will see if we can help via our lenders mortgage plans - some of which are not available on the high street.